Ecotourism in the Sierra Gorda de Queretaro is slowly starting to boom. 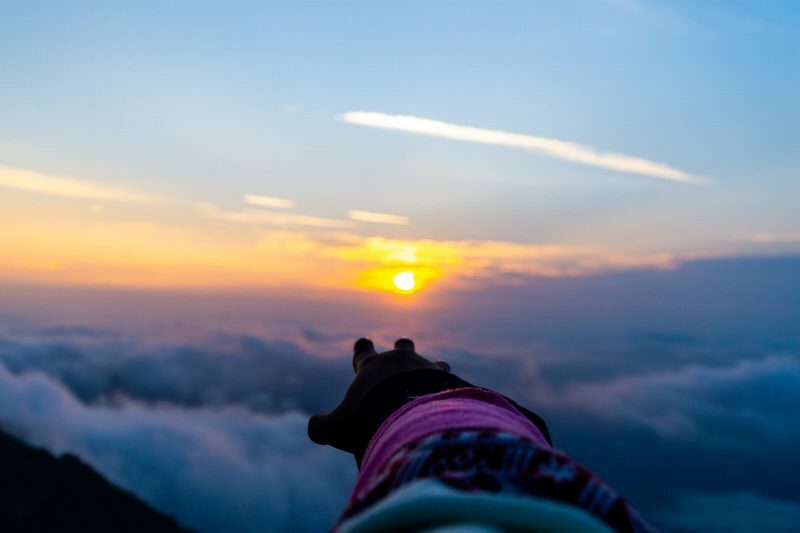 Read all about watching sunrise at the Mirador de Cuatro Palos here . 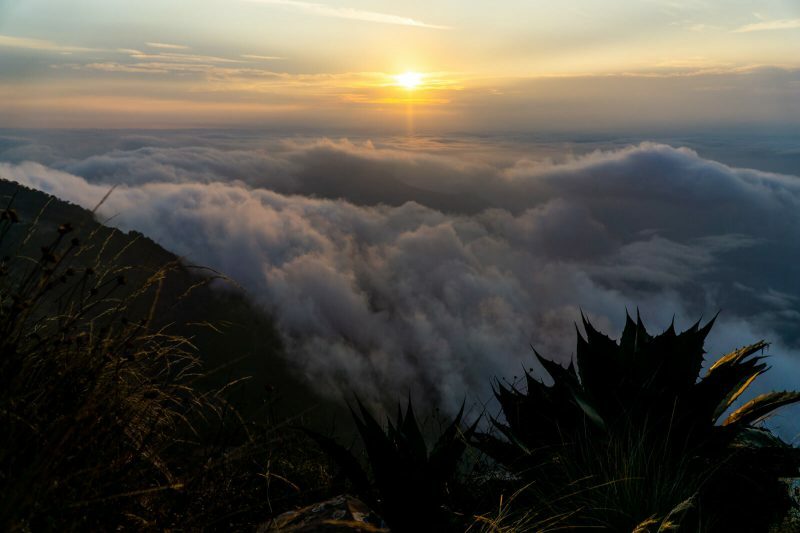 If you’re looking for unforgettable sunrises in Mexico, then the Mirador de Cuatro Palos in the Sierra Gorda de Queretaro will be one of your favorite destinations of Wonders. 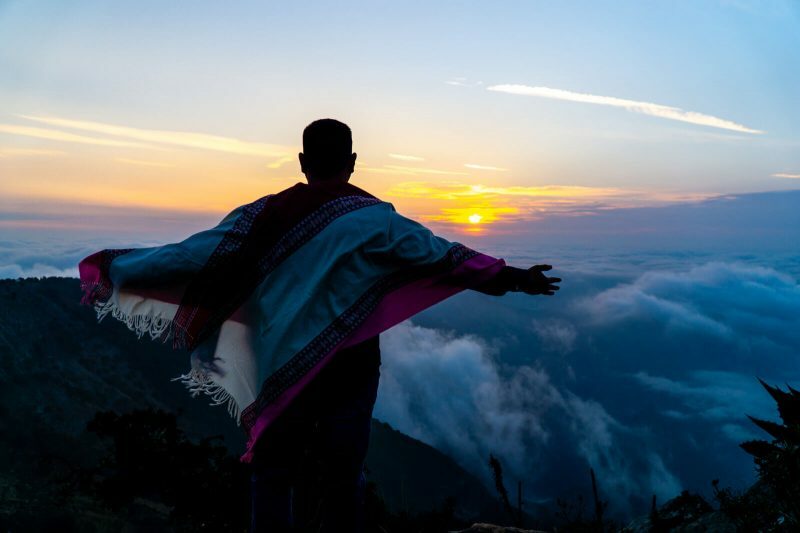 Located at an altitude of 2700 meters over sea level, this is the highest point of all of the Sierra Gorda and you can literally watch the sun rise above the clouds. Ready to learn all about the Mirador de Cuatro Palos in the Sierra Gorda de Queretaro? Here we go!!! 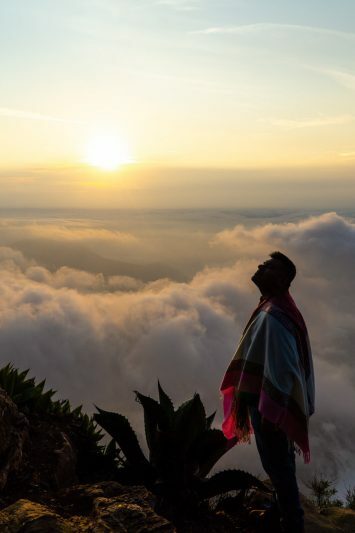 El Mirador de Cuatro Palos isn’t exactly easy to reach and there’s some really confusing information online regarding how to exactly get to the super beautiful sunrise spot. 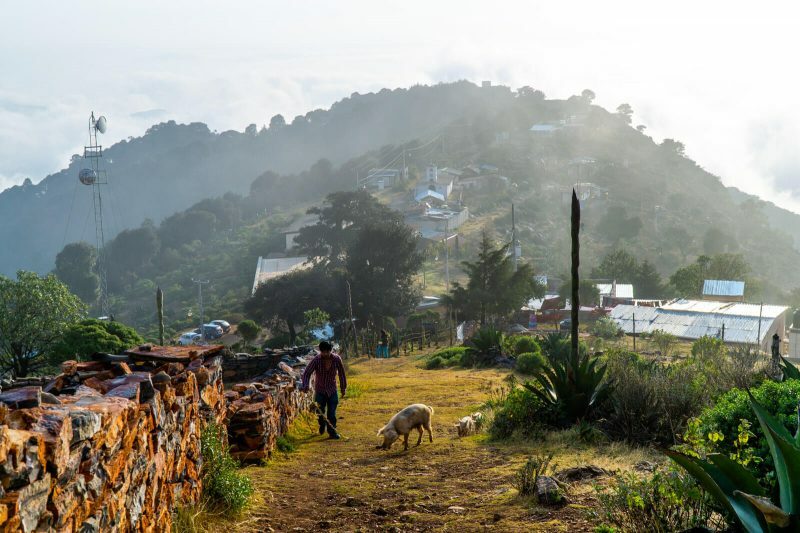 Luckily, as a native Spanish speaker, I was able to talk to the locals of Pinal de Amoles (the nearest big town to the El Mirador de Cuatro Palos) and learn all about the best way to get to El Mirador de Cuatro Palos in the Sierra Gorda de Queretaro. And yes, I hope you don’t mind a 5am wake up call my friends!!! Ecotourism in the Sierra Gorda de Queretaro will often involve waking up way too early but it’ll be worth it for sure! When I visited El Mirador de Cuatro Palos (January 2019), it was Winter so sunrise was at, roughly, 7am. 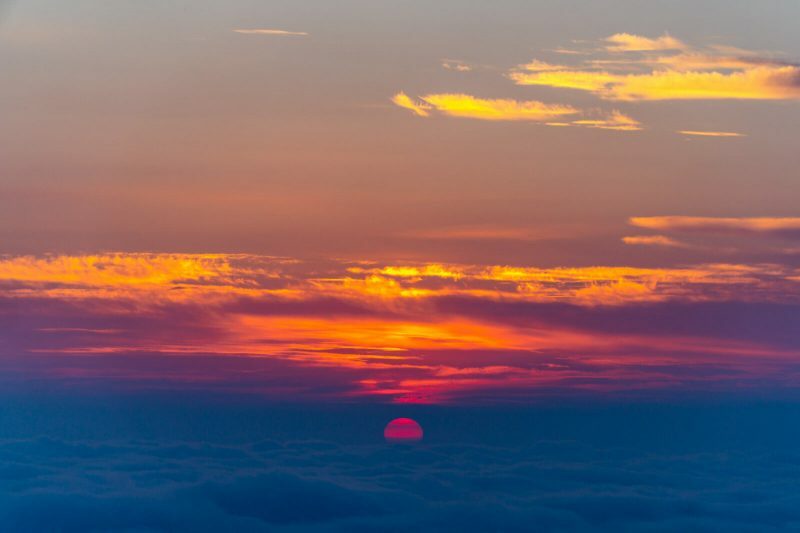 However, as you well know, THE best sunrise colors happen right before it so I definitely suggest you to already be at the Mirador de Cuatro Palos by 6:30 am the latest. From Pinal de Amoles, the town of Cuatro Palos is 12KM away (30 minutes by car) although the latter half of the road is going to be uphill in a rough road so I really hope your driving skills are up to the task since it’s going to be pitch black darkness. My best recommendation? Leave Pinal de Amoles at 5am sharp and be really careful with all the narrow turns. If you end up arriving way too early, you could always rest in your car before starting the hike to the Mirador de Cuatro Palos. From the town of Cuatro Palos (literally meaning, four sticks), El Mirador de Cuatro Palos is only 1.5KM away, however, the trek is not only uphill but also really cold in the early hours of the morning. Definitely bring a poncho like I did! If you combine in with the high altitude of the area it will become a quite hard task for those who aren’t in a good physical shape. Reaching the Mirador de Cuatro Palos can take you from 15 to 30 minutes depending on your skills. Nevertheless, the views you will get from the furthest point of the hike (don’t stay at the highest point, the views are better if you continue and hike down for a few meters to your right) will remain with you forever. I mean, can life get any better than this? 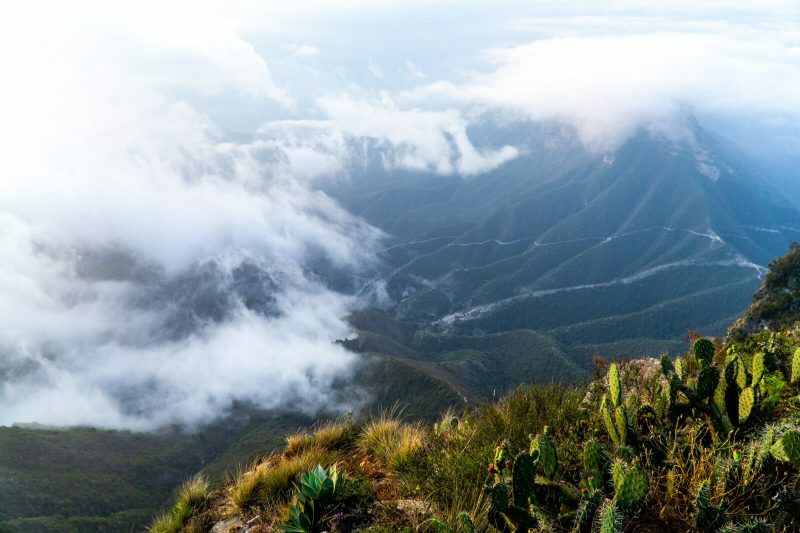 Ecotourism in the Sierra Gorda de Queretaro has started to slowly become more popular with each passing year, however, information found on the internet is often in Spanish only leaving foreigners clueless when it comes to exploring the Sierra Gorda on their own. 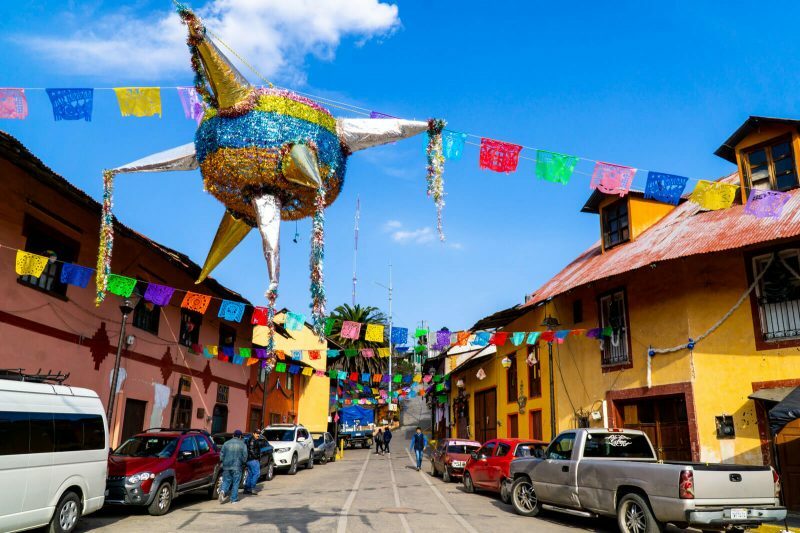 Outside of private and group tours, the best way to explore the Sierra Gorda de Queretaro is by car (read tips about renting a car in Mexico here). After all, who doesn’t love the freedom of staying as long as you like in each beautiful stop along the way? For my Ecotourism in the Sierra Gorda de Queretaro trip, I started in Guanajuato City (where you can see ugly creepy Mummies!!) and passed through Dolores Hidalgo and San Miguel de Allende before reaching Mineral de Pozos. From Mineral de Pozos (definitely try the beer spa!!!) my friend and I decided to drive directly to Pinal de Amoles in the Sierra Gorda (damn you Google Maps!!!) but be warned that the road conditions are WAY better if you drive to Queretaro City first and from there take the highway to Pinal de Amoles. Sometimes more KM can actually translate to a shorter time thanks to the road conditions! And yes, it IS possible to go from Queretaro City to the Mirador de Cuatro Palos for sunrise, be warned that it’s going to be a 145KM (close to 3 hours) ride so you would have to leave around 2:30am to be on the safe side. Using Pinal de Amoles as a base, there’s many nearby attractions of Ecotourism in the Sierra Gorda de Queretaro that you can explore after the Mirador de Cuatro Palos such as the Chuveje Waterfalls, the Puente de Dios (Bridge of God) and the magical town of Jalpan de Serra with its historical cathedral. You can even delve further to the North-East and go all the way to San Luis Potosi and explore the beautiful waterfalls of the Huasteca Potosina! 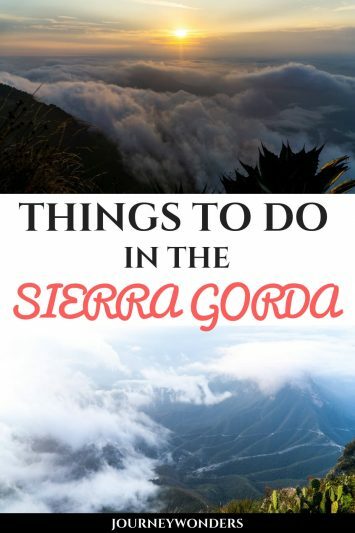 I would definitely recommend for you to spend at least a couple of days exploring all the Ecotourism in the Sierra Gorda de Queretaro’s attractions before departing for Queretaro City, I’m sure that you’ll love your time in the Sierra Gorda! 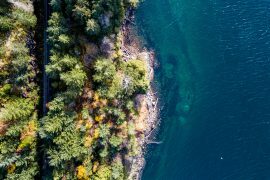 Finally, I must add that Ecotourism is starting to boom in Mexico in recent years and I hope this will encourage the conservation of the many natural wonders of this country! The road is gonna be long but in the end, I’m sure that Mother Nature can definitely be preserved and protected from humankind. While there are some budget wooden cabins in Cuatro Palos itself, my best recommendation (if you have a car, that is) is to stay in Pinal de Amoles and use it as a base to explore the Sierra Gorda de Queretaro region. In the main plaza you will find tons of budget hotels, all priced roughly the same (20 to 40 USD for a twin room). There’s also a few hostels too if you’re on a tighter budget. I even saw some people in camping tents at El Mirador de Cuatro Palos although I don’t want to even imagine the bitter cold of the night!!! You can make a booking for this and more properties via our Booking.com Affiliate Link of Wonders! Same price for you and a small pocket money commission for this website of yours. Sweet deal, uh? 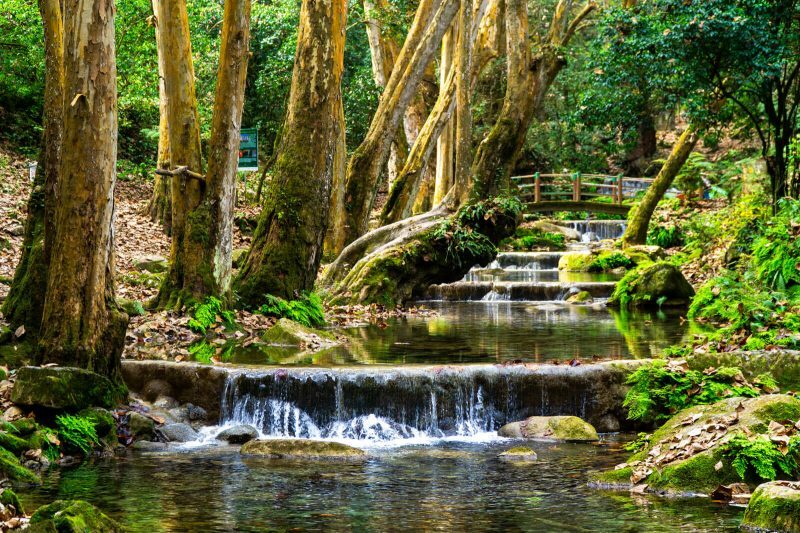 I hope you have enjoyed this article about the How to Get to El Mirador de Cuatro Palos and the best tips for Ecotourism in the Sierra Gorda de Queretaro. Don’t forget to subscribe in order to get more awesome updates and tips straight to your e-mail! Have you ever been to El Mirador de Cuatro Palos? Would you like to? What are your best tips for Ecotourism in the Sierra Gorda de Queretaro? Share your thoughts and let me know what you think!